Sailing lore always romanticised travelling by sea with images of perfectly blue water, gentle winds, and nothing but possibilities ahead. Whether in film or literature, sailing is always depicted as man either confronting nature or being freed by it. In reality, though, all experiences are not the same, and the type of vessel you choose can definitely impact your adventures at sea. Typically, when shopping for a yacht, you can choose from a motor or a sailing yacht. It’s important to be aware that one is not necessarily better than the other, but each has different features, advantages and uses. Choosing which type of vessel is best is going to be determined by personal choice, the type of journeys you are going to be embarking on and what you will be doing while on the water. 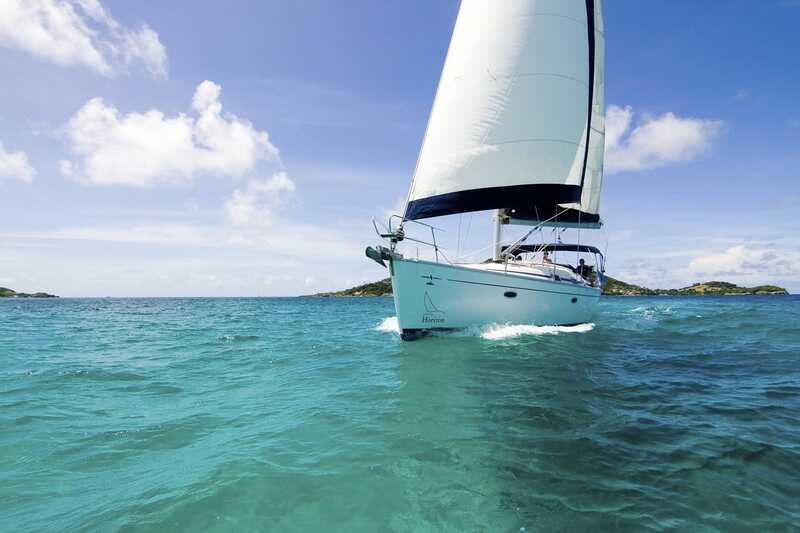 Continue reading below to learn more about the differences between motor and sailing so you can make the right decision for you. In terms of the way each vessel sails, your choice will depend largely on the function of the vessel. Many motor yachts for sale have at least one diesel engine that powers propellers and other onboard electronics. Because they are generated by engines, owners will feel the power of the vessel as it moves through the water. Additionally, a motor powered yacht will need fewer people to operate, meaning you don’t need to look for or hire a crew. On the other hand, sailing yachts generally require an experienced crew to handle rigging, manning the sails and to work together to safely maneuver the boat through the water. When a crew is working together like a well-oiled machine, all pulling in the same direction, it’s a great feeling for all involved. And as these vessels tend to move through the water quietly, sailing tends to be a more relaxed and peaceful experience. When it comes to navigation and communication systems, motor yachts have the jump on sailing yachts. Motor yachts have a panoramic 360o view, as opposed to sailing yachts where the view is obstructed by the rig, the mast and, of course, the sails. Furthermore, even though you can mount lightweight antennas that work over longer distances with sailing yachts, motorised ones support larger dishes with reception over more expansive areas. However, to compensate, sailing yachts can be affixed with antennas that can be mounted higher, but choosing quality cable is important in terms of receiving a clear signal. Motor yachts have more space, in addition to onboard electronic features. For this reason, these vessels tend to be for people who want to hold events such as parties or charters. Additionally, motor yachts tend to be outfitted with more amenities and cabin space with some of them containing hot tubs and even discos! Finally, because of their speed, they allow you to travel greater distances quicker than sailing yachts. Conversely, sailing yachts are smaller in terms of the amount of space available and are designed more for people who want to just sit back, relax and enjoy the trip. In terms of expense, it’s a mixed bag, as there are so many different variables to take into account. In addition to the cost of purchasing your boat, you need to give due consideration to other costs such as maintenance, insurance and mooring. Running costs like fuel will need to be taken into account with a motorised vessel also. When it comes to sailing yachts, there are usually a lot more expenses you are likely to incur after the initial sale. Just like a motor vessel, you will have to pay for maintenance, insurance and berthing. However, with a sailing yacht, you need to put some money aside for rigging and sails to ensure that you are able to get from A to B efficiently and safely. This cost will vary greatly depending on the condition of the sails and the rig when you buy your boat, so it’s important to pay close attention to this when you’re shopping for a sailing yacht. Both options require a certain amount of consideration. Motor yachts might be more appropriate for those who desire the feeling of exhilaration of powering through any body of water. Conversely, for those who want to frolic on the sea while listening to the waves gently lap the boat, a sailing yacht might be sufficient. When looking for a yacht, your choice depends on what makes sailing your personal paradise and how you want to enjoy your time on the water going forward.